We hope you will be interested in these web sites. Suggestions for other sites are welcome. Click on the logo to link to the company's web site or e-mail. Job board, articles on filing. Research on sawing, drying, and wood composites. 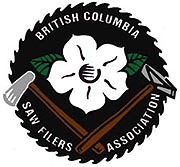 Wood Machining Institute Seminars and news letter on wood machining and sawing. www.calsaw.com - California Saw & Knife Works (Cal Saw). www.armstrongblue.com - Armstrong Manufacturing. Good tips on setting up grinders. www.carbideprocesors.com - Carbide and other tipping technology. Also, affect of heavy metals on health.